Specifically, it includes a new set of templates in the New Project wizard and the New Module wizard to develop for the Android Things platform, but there’s a whole host of other features. You’re looking at Kotlin and Java 8 language support, Layout Editor improvements, XML fonts, Instant App support, and build speed improvements. Did I mention Oreo, too? This release of Android Studio is packed with many new updates, but there are three major feature areas you do not want to miss, including: a new suite of app profiling tools to quickly diagnose performance issues, support for the Kotlin programming language, and a new set of tools and wizards to accelerate your development on the latest Android Oreo APIs. As mentioned, there’s a lot of new features in the realm of application profiling, the area that sorts the professionals from the hobbyists! 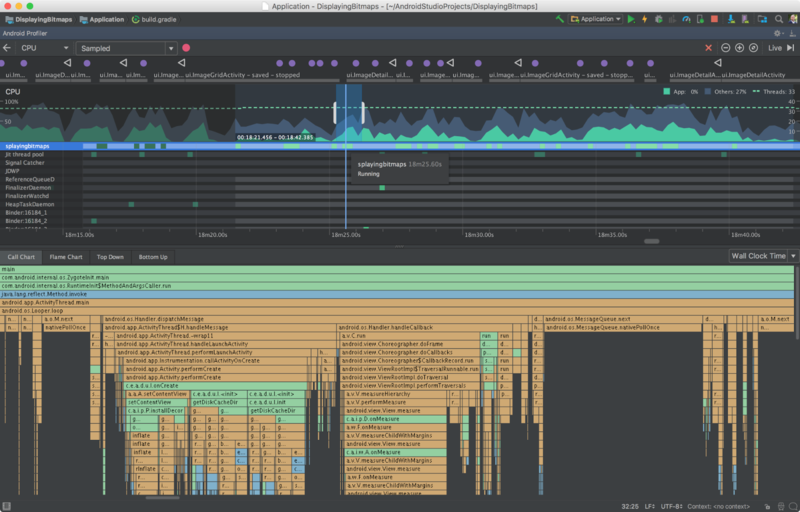 Android Studio 3.0 includes a brand new suite of tools to help debug performance problems in your app. We completely rewrote the previous set of Android Monitor tools, and replaced them with the Android Profiler. 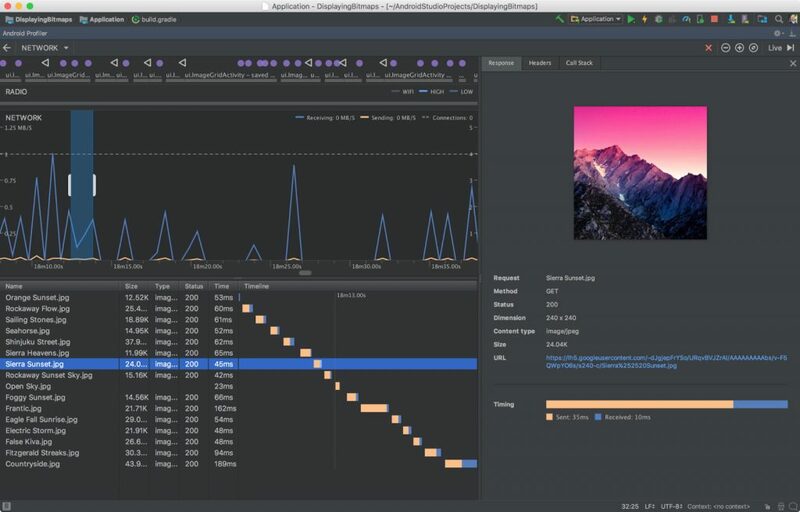 Once you deploy your app to a running device or emulator, click on the Android Profiler tab and you will now have access to a real-time & unified view of the CPU, Memory, & Network activity for your app. Each of the performance events are mapped to the UI event timeline which highlights touch events, key presses, and activity changes so that you have more context on when and why a certain event happened. Click on each timeline to dig into each performance aspect of your app. Pictured below is the Network profiler, to help examine how and when your app transfers data, and in theory optimise the underlying code. It displays realtime network activity on a timeline, showing data sent and received, and the current number of connections. The non-stable, “Canary”, release of Android Studio 3.0 was first announced back in May. You can read the release notes for more details online, and you can download the update from the official Android Studio Preview download page. See also: Android Studio… Does it have to be this way?